Nintendo is holding a public 3DS demo event to convince those on the fence about the device. Nintendo has admitted that the 3DS must be seen to be believed, and it has a plan to get the no-glasses 3D handheld out to the public before release. Nintendo recently announced that it will be holding a public 3DS demo event early next year. Nintendo CEO Satoru Iwata revealed the event through a video recording where he again said that the 3DS may face the consumer acceptance hurdle of screenshots and videos not being able to display the handheld's 3D effect. In an attempt to let gamers see how it actually works, the company is holding this event. As expected, Nintendo has only announced the public demo for Japan at this time. It'll take place from January 8-10 at Makuhari Messe, the same location where the Tokyo Game Show and Nintendo's recent 3DS press conference were held. This will be the first time that Nintendo makes the 3DS available to the public, though plenty of press members have already taken a look. Iwata didn't mention which games would be on display or any other details about the event, but the event may be a chance to learn more about the gameplay of the 3DS's lineup. 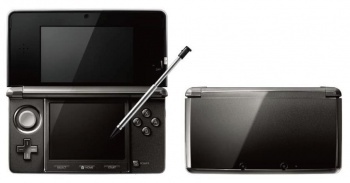 Iwata said this will be Japan's only large-scale 3DS public demo, but that Nintendo also has other plans to allow consumers to try the 3DS before its Japanese release date of February 26, 2011. Though it'd be tough to choose a single, best location for such an event in North America or other regions, hopefully Nintendo will hold a similar public demo or two in overseas markets.